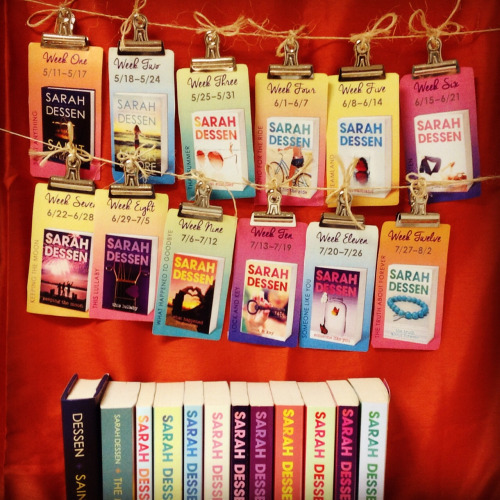 I was so shocked when Penguin Teen contacted me and asked if I wanted to participate in the Summer of Sarah Dessen read-along! I was asked to review Along for the Ride for week four, so here I am! I want to thank Penguin Teen SO MUCH for sending me a copy of the book and for asking me to participate. Sarah Dessen is one of my favorite authors and one that I’ve had the longest “relationship” with. To be honest, I don’t even know how to review books of authors I love. Because I just LOVE their words too much to even know what to say other than a bunch of adjectives and OMGs. So I thought that along with an attempt to a review I would talk about what Sarah Dessen’s books mean to me. Years ago, when I was in high school, I did not get along with my younger sister. We were too different. She was super girly and into boys and clothes and make up. I was into vampire books, horseback riding and Japanese culture. I could not connect with my sister at all. We eventually became obsessed with Harry Potter together and slowly became friends. I started to grow into myself and became interested in more feminine things. She gave magic and wizards a try. When my sister and I would go to the bookstore we would head to different sections. I would get things with paranormal demons in it and she was grabbing books like Gossip Girl. I thought those kinds of books were stupid. I had no interest in ‘chick lit’. I didn’t care about girls and parties and romance. In one pile of books my sister had a book by Sarah Dessen. I remember to this day that it was Dreamland. For some reason my sister left it in my room and in between vampire and demon books I picked it up. Read it in secret. Along with Harry Potter my sister and I began to share a love for Sarah Dessen’s books. We’d go to the bookstore and grab the newest one and share it. Even years later, after graduating high school and college we still were sharing Sarah Dessen books. I’d get the newest one and pass it on to her. She’d dig up an old copy and we’d share our memories over it. Now I read about 85% contemporary. I have long let go of my vampire and demon loves. 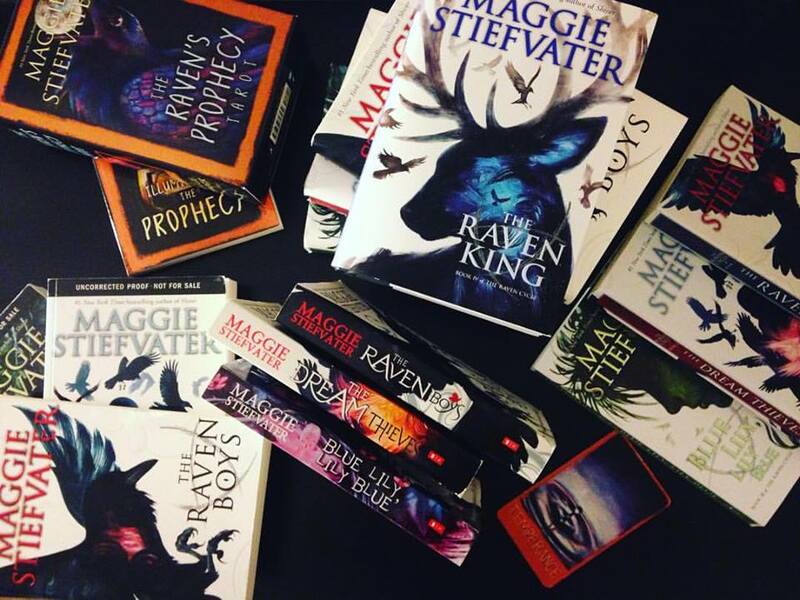 I still enjoy a good paranormal romance here and there, but my love is YA contemporary. There’s just something about it. But there is nothing like a book by Sarah Dessen. And re-reading Along for the Ride felt like coming home. I just felt so happy and safe and warm while reading it. I haven’t had a chance to grab Saint Anything yet, but I have a copy coming soon and I will dig in as soon as I can. Sarah Dessen and Harry Potter are the reason that my sister and I are best friends now when we were once sworn enemies. And that is something amazing. Books can save lives. Synopsis: It’s been so long since Auden slept at night. Ever since her parents’ divorce—or since the fighting started. Now she has the chance to spend a carefree summer with her dad and his new family in the charming beach town where they live. 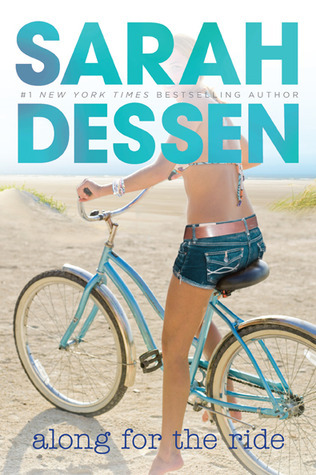 Review: Sarah Dessen does two things well: complex family issues and friendships. She does romance perfectly, but there’s just something about the family dynamics in her stories that really makes me think. In this book Auden’s comes from a very academically affluent family. Her mother is a popular professor with many books and awards under her belt and Auden’s father is an acclaimed writer. Both of her parents are selfish people who, while they do love their children, have aspirations for them that might not be their own. Auden has only known academics. She’s god at them, and never felt the need for a social life. Her brother is the opposite, he’s wild and charming and runs off into the world to do whatever he wants. And his charisma lets him get away with it. Auden, on the other hand, cannot seem to get the attention of both her parents. She works hard, studies, but it’s just not something that either of them really see because it’s what is expected. So during the summer before her first year of college, Auden decides to go stay with her father, who is living with his new wife and newborn baby, in a small ocean side town. Auden dislikes her super-girly-annoying stepmother and isn’t necessarily looking forward to spending time with her. Auden instead imagines spending time with her literate father who is working on his new best seller. Only when Auden arrives she finds her stepmother, Heidi, stressed out to the max while trying to care for the new baby, and her father hiding away in his office working on his book. The father made me SO MAD in this because he is just THAT selfish. While the mother was also incredibly selfish, at least her actions didn’t directly impact anyone the way that the father’s did. There were SO many times I wanted to scream at him, and when Auden finally let go and told him how she felt I cheered for her. Along with spending time with her family, Auden takes a job at Heidi’s clothing shop where she’s surrounded by girls and girly things. Things that Auden doesn’t like, understand, or respect. Slowly over the summer though she becomes friends with the girls who work there and is even surprised when she finds out that the girls aren’t as shallow as originally perceived. I loved that Auden slowly learned that her judgements were off and that she actually had a lot more in common with the girls than expected. And finally the romance between her and Eli was perfection. I loved the way that he slowly opened up to her and how he shifted her view on life. How they were having fun spending time together and that the ultimate goal wasn’t getting into bed together. I loved the slow burn and how he helped Auden discover things about herself that she didn’t even know she wanted or needed. As I’ve said before, Sarah Dessen’s books make me feel so warm and happy and I just love them so much. 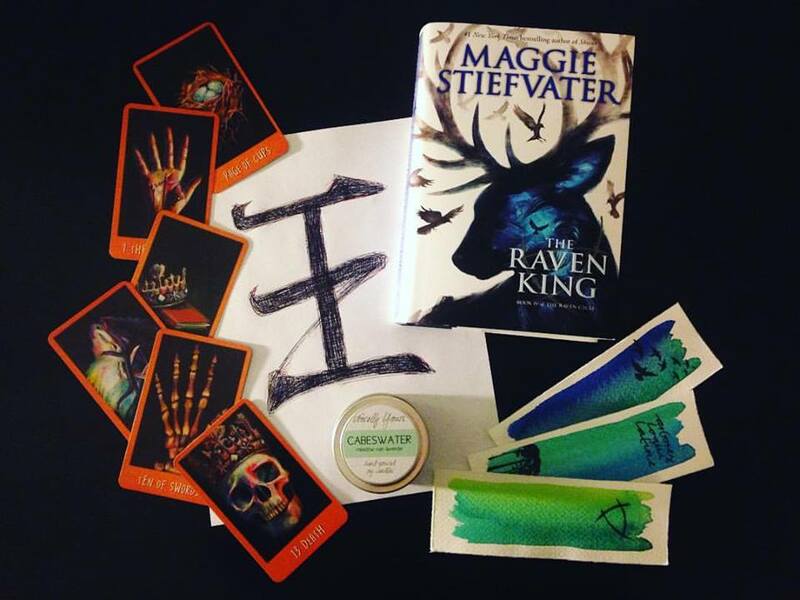 This entry was posted in Uncategorized and tagged book review, book reviews, books, contemporary, penguin teen, reading, realistic fiction, River, ya, ya fiction, young adult, young adult fiction on June 1, 2015 by M.. I am so sorry I disappeared. Sammy, you are the best coblogger in the history of cobloggers and I am so sorry that I am the worst. sobs. Sooooooooooo hey guys. What happened? Well, my husband and I were EXTREMELY unhappy with our housing situation and one thing lead to another and then things snowballed and People with Power were consulted with and fees were waived and documents signed and now we live in a new apartment closer to both our workplaces and the T and just… stuff. And it’s quite and the problems we were having are gone and we are HAPPY. But it was a lot of work and I couldn’t do anything for a good long while because I was so busy. Things like reading, reviewing and blogging. I was able to tweet so some of you were privy to those crazy weeks. Things do seem to be calming down and I’m able to read more (albeit not as much as I used to, but I don’t know if that’s ever going to happen again) and I even wrote my first review in a long time! I’m…. not even going to look at my bookish resolutions because I’m going to just cry at how optimistic and hopeful I was. I am going to talk about how I basically threw my reading schedule out the window of a speeding bus and watched it get run over by a semi-truck. Because I am dubbin this READWHATIWANT2015 (at least that’s my goodreads shelf). Yes, I am going to give ARCs priority (esp if they’re physical) but I’m not going to forced myself to read EVERY SINGLE ARC that I can get. I did this for the past two years and I read A LOT of crap. So I’m going to read what I want! And if I don’t want to read an ARC then I’m not going to. And I’m going to tackle my physical TBR shelf because it’s full and I have SO many books that I want to read! i have also sadly made the decision to leave my bookstore job for lots of personal reasons and I’m happy to say that I AM going to start working at MIT soon! I am BEYOND excited with my new position and so excited to join MIT as a staff member. That said my new job is going to take some time to learn and adjust to and while I’m hoping to get back to reviewing I’m still not sure where I am with actual blogging. I’ve been doing a little more personal blogging over at Safe As Life but not a ton. I am on twitter so you can always chat with me there. But hopefully this summer (I feel like I ALWAYS say this) I can get back into things. WAIT FOR ME SAMMY!!!!!!!!!!!!! This entry was posted in Uncategorized and tagged personal, reading, River on March 21, 2015 by M..